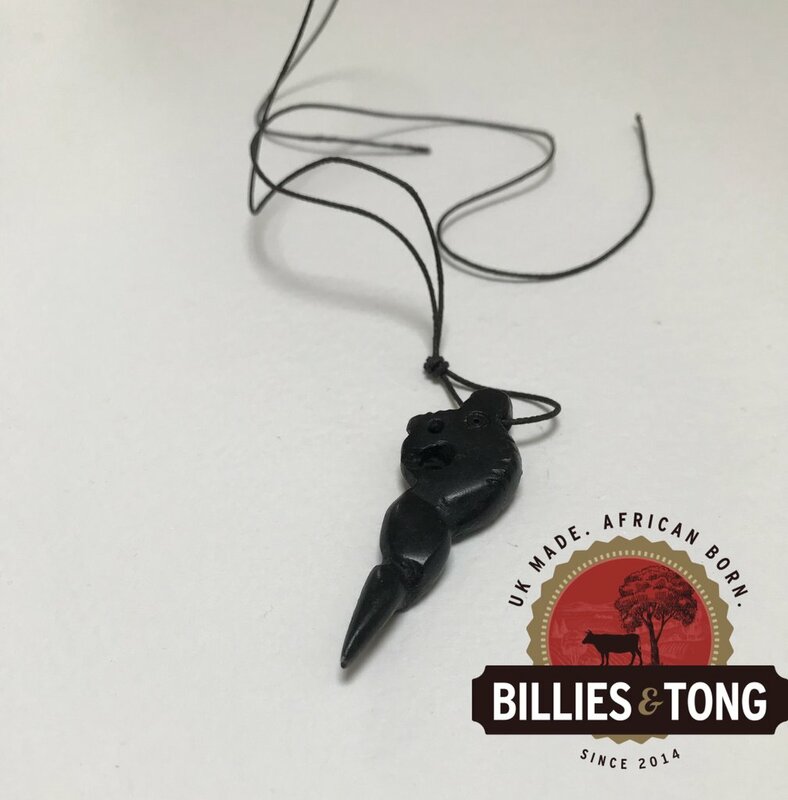 This pendant is made from Soapstone. The pendant will come with a waxed adjustable string. Nyami nyami (also known as the Zambezi River God, or Zambezi River Spirit) is believed by the river Tonga (or Batonga) to control life on the Zambezi.The Tonga themselves have inhabited both banks of the Zambezi River in what was known as the Gwembe Trough (from Kariba Gorge upstream to Devil’s Gorge) for centuries and in themselves have an interesting history. Prior to David Livingstone’s work in the area around 1855/7 the Tonga were at the constant mercy of slaving parties and wild animals. Between then and the mid 1950’s they lived in relative peace with very little outside influence – their contact with the “outside world” was limited to prospectors, hunters, surveyors and the local District Commissioners. In the mid 1950’s life changed with the decision to proceed with the construction of the Kariba dam wall. Another chapter in the Tonga history was started.